An email from Google to its Play store partners (developers) appeared today, letting us know that Google is working on adding some secret, new payment methods. Unfortunately, we don't have an idea exactly what's in the works (after all, it's a secret), but some are speculating that it may have something to do with an upcoming version of Google Wallet, which will let you maintain a Wallet balance. On another note, Google has used the opportunity to inform developers that it will transition to paying them on the 15th of every new month, instead of on the 2nd. That change has been needed due to these new payment methods that are in the works. What this means is that we'll also know what the new forms of payment will be soon enough! We are committed to providing you with a consistent and reliable payout experience while we introduce new forms of payment to better serve your users and create more revenue opportunities for you. In order to do so, we are shifting our payout date to 15 days after the month’s end. And every month after, you will also receive payment on the 15th. We remain committed to offering a best in class marketplace for developers to sell their apps. These changes will allow us to ensure users can buy your apps and we can transmit payments to you in a reliable fashion. 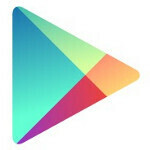 Thank you for your continued support of Google Play. What if they stop adding more functions and bring the Wallet App for Android in Romania and other countries? I hope Google Play Store will support payment method which do not require credit cards just like Blackberry & Windows Phone since in my country most people do not use credit cards. Although this is not directly related, I'd like to see the play store receive a bit of an aesthetic overhaul for Android 5.0, ditching the green colour scheme and maybe replacing it with the light blue accents used in Android 4.0 onwards? That and a more modern interface and 'feel' to the play store on mobile devices..